When President Obama signed H.R. 4302 into law, it pushed back the compliance date for ICD-10 by at least one year. The 10th revision of the International Statistical Classification of Diseases and Related Health Problems introduces a significant change to the coding system. That has some practitioners scrambling to accommodate the over 67,000 coding options in ICD-10. The extra year offered by H.R. 4302 buys them time to complete the transition, but at what cost? Provision H.R. 4302 passed by Congress at the end of last month was designed as another temporary "doc fix" for the SGR formula, but also forces at least a one-year delay in the compliance deadline for ICD-10. Recently, CMS Administrator Marilyn Tavenner promised attendees at the Healthcare Information and Management Systems Society conference that there would be no more stalling for implementation of the coding system already in place in over 25 countries. This is not the first delay in ICD-10, either. The constant set backs have many working in this industry frustrated. The language of H.R. 4302 also leaves the door open for further delays, should they be necessary. Members of the ICD-10 Coalition admit that many doctors’ offices and healthcare facilities are not ready for the transition. Failing to comply will mean less revenue and that could potentially set the healthcare industry into a spin. The change over to ICD-10 is not an easy one to make, either. It requires new hardware, software and enhanced training for staff. Healthcare providers, especially large facilities, will feel the pain of H.R. 4302. Pamela Arora with Children’s Medical Center Dallas states the new compliance regulations will cost her hospital over a million dollars. They were set to meet the 2014 deadline, but now they must backtrack to stay current with ICD-9 for at least one more year. Some key healthcare organizations are crying foul. The American Health Information Management Association (AHIMA) responded to the signing of H.R. 4302 with a statement quoting CMS as saying that this delay could potentially cost the healthcare industry 6.6 billion dollars. Medical businesses have been working to educate both their coding and IT staff for months. Now they may have to retrain their staff in 2015, assuming there are no further delays. 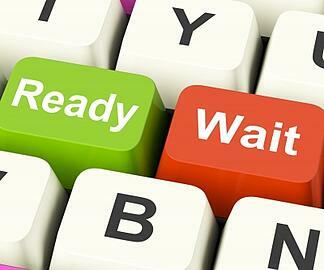 The delay in ICD-10 implementation comes as good news for those who were not ready for the change. These practitioners get one more year to acquire the proper software and train their staff and physicians on the new coding system. For some, the switch to ICD-10 was too much of a financial burden along with other changes. With meaningful use entering Stage 2, they can focus more on that transition. This should not be viewed as an open invitation to "kick the can down the road". While that may be the strategy of the politicians; it is not a winning strategy for physicians and medical practices alike. Take this as an opportunity to prepare fully and to do so without fear of not having enough time to do it right. HIS now suggests that you should be ready to begin full end-to-end testing for ICD-10 early in 2015. This will allow you to make sure that your infrastructure is in place and allow you to focus on the training of your staff and physicians. Pushing back compliance requirements for one year may not seem like it should be a burden, but for those that are ready for ICD-10, the delay represents a loss of investment that was already committed. For those who are not ready, the delay offers breathing space to come into compliance before suffering loss of revenue. Healthcare Information Services is in a position to help you with your revenue cycle needs no matter which side of the "delay" fence you may find yourself on.